This circa mid 1960s-early 1970s 2 lb. 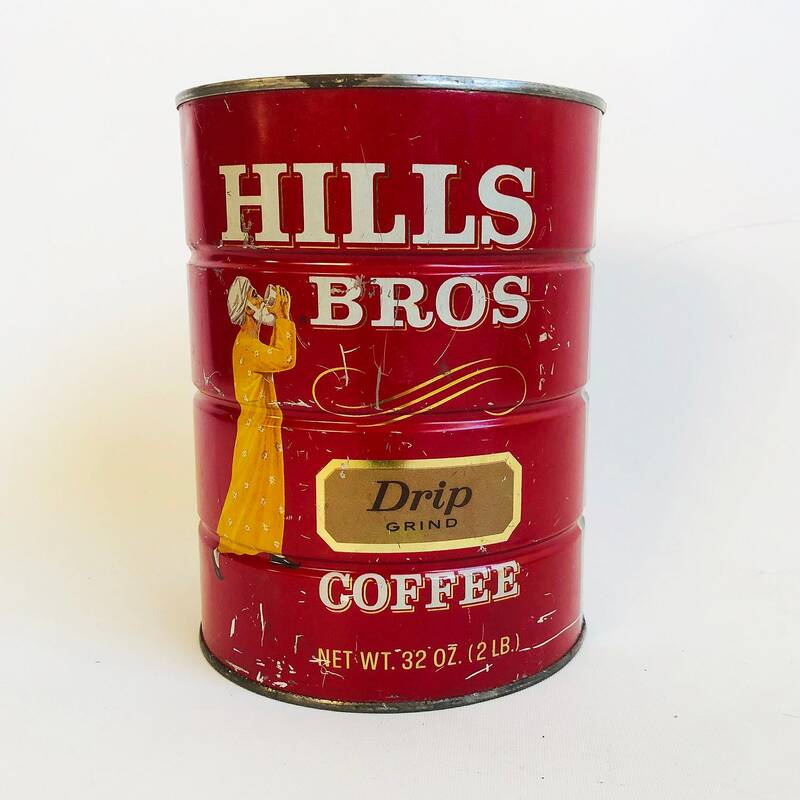 Hills Brothers Coffee tin has wonderful red, white & gold retro graphics and is ready for your farmhouse chic, retro or coffee decor. The can is 5" (13cm) in diameter and is 6.5" (16cm) tall. This can was opened up-side-down so the bottom is open and top if closed. This tin is in good vintage condition with shiny finish and bright graphics and a few light dings. The exterior has some scratches and some small specks of surface rust. The interior is pretty clean but does have some spots of dried glue on the bottom. Vintage Azar Brothers - El Paso, Texas - Pecan Sack, Burlap Bag - Gunny Sack - FREE USA SHIPPING!